The Capitals won Saturday 4-2, forcing a game 6 in Pittsburgh tonight. So what? The Capitals have thrown everything they had and the Penguins and still need to win out the rest of the series. 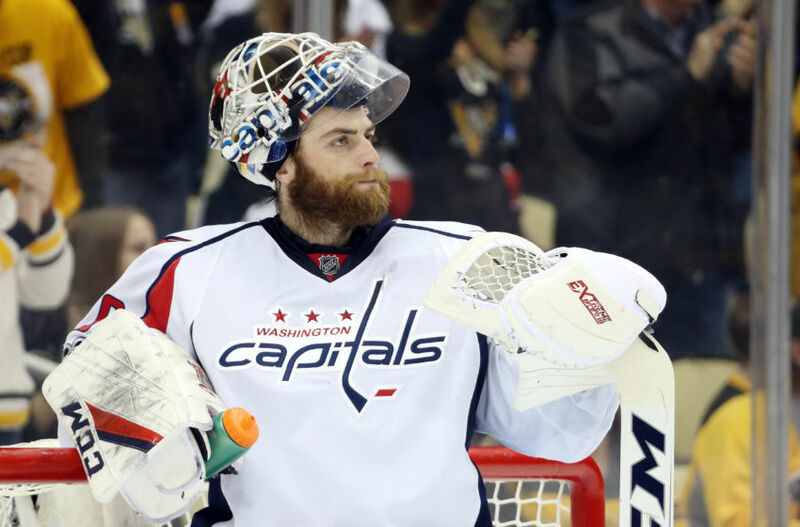 The Capitals had their backs against the wall Saturday night and needed to play the perfect game and by most accounts they did. Is there confidence in Holby's .909 SV% from Saturday night's game? The number of shots the Penguins are giving up is troubling but it's not costing them the series. Can you imagine outshooting an opponent 38-19 and losing the game? The Penguins have been outshot by a huge margin but they still have a 4-2 series lead. Is it Alex Ovechkin who has 4 and only 1 goal this series that is scaring Penguins fans? 1 goal. This. Series. all of those numbers are more than .95. Maybe they employ the Blue Jacket strategy of some "OLE TIMEY HOCKEY" and try and pulverize the Penguins into submission? Looks like the only time that worked is in game 5. That's 20% success rate, right? What else can the Capitals do to beat the Penguins in this series? Star Power? - Doesn't look like it? If there's something they haven't tried, I don't see it.